Project MoDEL - an innovative partnership with the private sector, using the locked-in value of its estate to deliver new facilities at a core site within a tightly managed programme. 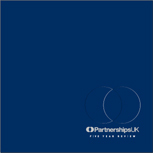 Partnerships UK (PUK) is a Public Private Partnership which has a unique public sector mission: to support and accelerate the delivery of infrastructure renewal, high quality public services and the efficient use of public assets through better and stronger partnerships between the public and private sectors. This course aims to cover the necessary resources, skills and monitoring methods that can be used to help ensure successful contract delivery. PUK Ventures is the venture capital arm of Partnerships UK. This new website provides further information about our investments, our approach and team.